THE 1968 Programme Book for the Coronation of His Majesty Sultan Haji Hassanal Bolkiah Muizzaddin Waddaulah as the 29th Sultan and Yang Di-Pertuan of Brunei Darussalam, had two interesting documents inserted inside. The documents were reproduction of two treaties taken from microfilm kept at the Public Record Office in London. 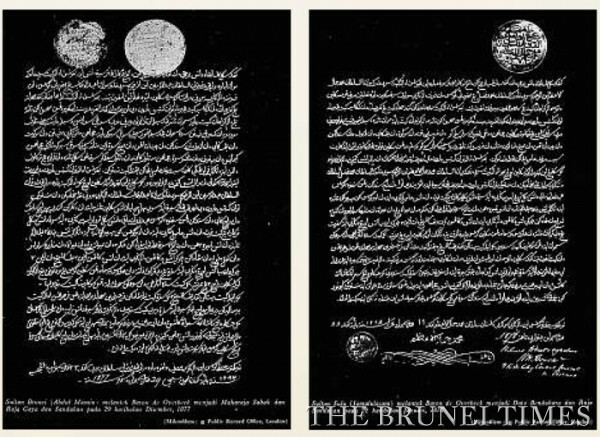 The first treaty was signed by Brunei's 24th Sultan, Sultan Abdul Momin, appointing Baron de Overbeck as the Maharaja Sabah, Rajah Gaya and Sandakan signed on 29th December 1877. The second treaty was signed by Sultan Jamalalulazam of Sulu appointing Baron de Overbeck as Dato Bendahara and Raja Sandakan on 22nd January 1878, about three weeks after the first treaty was signed. That begs the question: Who was responsible for Sabah or North Borneo as it was known then towards the end of the 19th century? That probably has a bearing on the event now unfolding in Lahad Datu in Sabah, where a group of armed men supposedly from the Sultanate of Sulu and North Borneo is claiming that they are the rightful owners of Sabah. Many of the early modern accounts of written history in Brunei noted that Sulu was given possession of Sabah or parts of Sabah for help rendered to Sultan Muhydin, the 14th Sultan of Brunei who fought a civil war against the 13th Sultan of Brunei, Sultan Abdul Mubin. Sultan Abdul Mubin usurped the throne after killing Sultan Muhammad Ali when the latter tried to stop Sultan Abdul Mubin from taking his revenge for the death of his son killed by the son of Sultan Muhammad Ali. Sultan Abdul Mubin appointed Sultan Muhydin as Bendahara but eventually Sultan Muhydin tricked Sultan Abdul Mubin into leaving Brunei for Pulau Cermin and appointed himself as the new Sultan of Brunei. The two Sultans fought against each other and Sultan Muhyidin finally triumphed, said to be due to the assistance provided by the Sulu Sultanate. Sir Hugh Low, writing in the Journal of the Straits Branch of the Royal Asiatic Society (JSBRAS) published on 5 June 1880 entitled 'Selesilah (Book of Descent) of the Rajas of Bruni', wrote that "by the assistance of a force from the Sultan of Soolok, the forts on the island (Pulau Cermin) were captured". Earlier Sir Hugh Low described the negotiation between Sulu and Brunei: "the Bataraa of Soolok went up to Bruni and met the Sultan Muaddin and having feasted and drank, the Sultan asked the Batara for his assistance to destroy the enemies at the island, promising that if the island should be conquered, the land from the North as far as westward as Kimani should belong to Soolook". HR Hughes-Hallett writing in the Journal of the Malayan Branch of the Royal Asiatic Society published in August 1940 entitled A Sketch of the History of Brunei wrote: "by the beginning of the 18th century, the kingdom (Brunei) had been territorially diminished by the cession to the Sultan of Sulu in the north". CA Majul in his book Muslims in the Philippines (1973) referred to a letter from Sultan Jamalul Azam of Sulu to the Governor General of Spain on 17 September 1879 that the coast area from Kimanis to Balikpapan was to pay tribute to the Sultan which he said proved that the Brunei territory facing Suluk was ceded to Suluk. Interestingly enough, Pehin Jamil Umar writing in his book, Tarsilah Brunei II: Period of Splendour and Fame (2007), countered all of the above. Pehin Jamil did not deny the fact that the Sulus were invited and promised the northern Brunei territory by Sultan Muhydin if they helped him win the civil war against Sultan Abdul Mubin. However, during the battle for Pulau Cermin, the Sulu forces who were supposed to attack the island from Pulau Keingaran and from the sea, did not do so. They were terrified by the resistance of Sultan Abdul Mubin's forces in Pulau Cermin. It was only after Sultan Muhydin had won the battle did the Sulu forces landed and took the opportunity to seize a number of war booties. According to Pehin Jamil, Sultan Muhydin refused to cede the territories claimed by Sulu. Pehin Jamil noted that the area was only "claimed" and not "ceded", as Sir Stamford Raffles, in his book "History of Java" (1830), had noted "on the north-east of Borneo proper (Brunei) lies a very considerable territory (Sabah), the sovereignty of which has long been claimed by Sulu Government". Pehin Jamil further noted that according to the oral tradition, Sulu continued to press their claim. In 1775, one of their chiefs came to Brunei pretending to seek fresh water. What they really wanted was to seek an audience with the Sultan regarding Sabah. However, the Sultan ordered one of the chief wazirs to see them and he threatened that if they wanted to pursue their intention, he will kill them all. The Sulus immediately left. Despite that setback, the Sulus continue to maintain their claims. The argument that Brunei has not ceded Sabah to Sulu is supported by LR Wright in her book The Origins of British Borneo (1970). She wrote: "indeed, the legitimacy of the Sulu claim to the territory (North Borneo) is in considerable doubt partly because of the unreliability of tarsilas such as 'Selesilah', which in many cases are nothing more than written-down legends to enhance the status of the royal house which produced them. 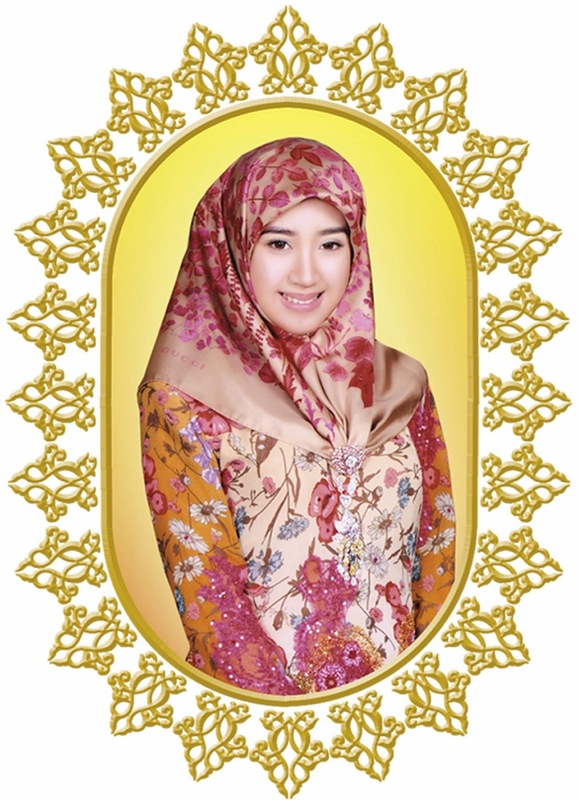 Succeeding Sultans of Brunei have denied that northern Borneo was given to Sulu, and only the weight of Sulu tradition supports the claim. 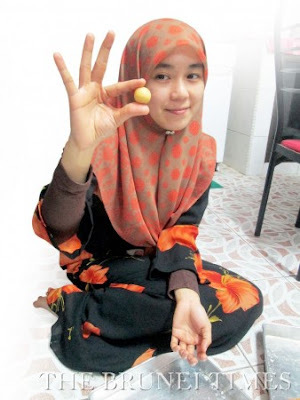 The weight of Brunei tradition challenges it". The Sulu claim is currently resting on that treaty which was mentioned at the beginning of this article signed by Sultan Jamalalulazam of Sulu appointing Baron de Overbeck as Dato Bendahara and Raja Sandakan on 22nd January 1878. But at the beginning of this article, there is, in fact, another treaty which was signed earlier by Sultan Abdul Momin appointing Baron de Overbeck as the Maharaja Sabah, Rajah Gaya and Sandakan signed on 29th December 1877. 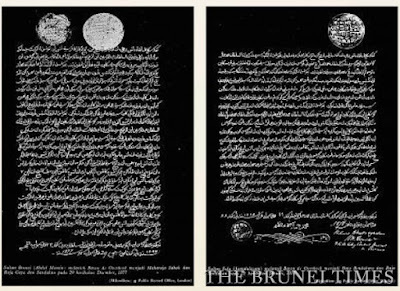 In 1877, the Brunei Sultanate then still believed and maintained that the territory was in fact still under the control of the Brunei Sultanate. Another interesting document is the British North Borneo Treaties Protocol of 1885 signed in Madrid, which is also known as the Madrid Protocol of 1885, a copy of which can be found on Sabah State Attorney General's website. It was signed by the British, Germany and Spain who was the predecessor government of the Philippines. The two most important articles are Article I British and Germany recognising the sovereignty of Spain over the Sulu Archipelago and Article III Spain relinquishing all claims to Borneo. This article serves only to point out that past events have repercussions on the present and more so if the past events were not clearly defined as in this particular case.